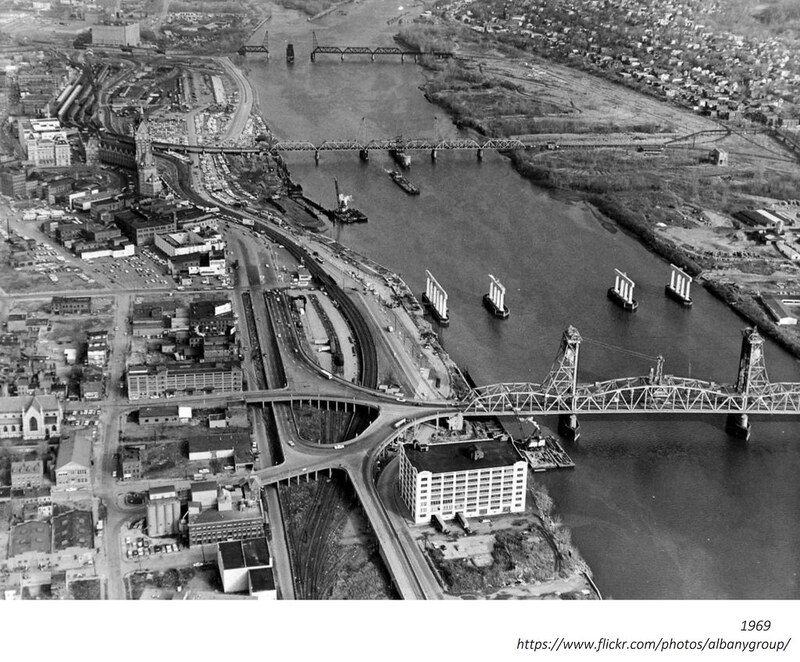 Random historical photo we stumbled across while looking for something else: This aerial photo of the Albany riverfront is from 1969 and shows the old Dunn Memorial Bridge as the new (that is, current) Dunn is being constructed just up river. It's from the local history rabbit hole that is the Albany Group Archive on Flickr. 1. 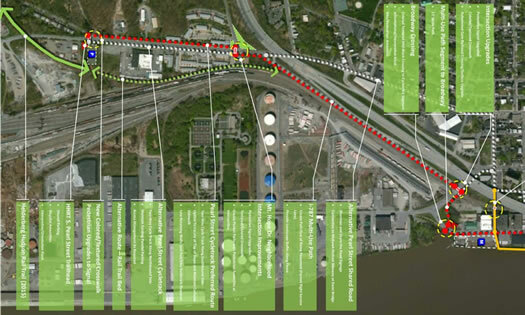 There is an ongoing conversation about how Albany can make its riverfront more accessible and hospitable to people. And one of the things that often gets lost in that discussion is that Albany riverfront has really been a place for people in a very long time. Like, a century or more. That's not say it shouldn't be in the future -- it just provides some context for the challenge. 2. The old Dunn Memorial Bridge had a section that lifted to make way for passing ships, sort of like the Green Island Bridge does today. That allowed the bridge to be closer to the water, and as a result, its connections on either end were much closer to street level. See the photo below -- also from the Albany Group Archive.